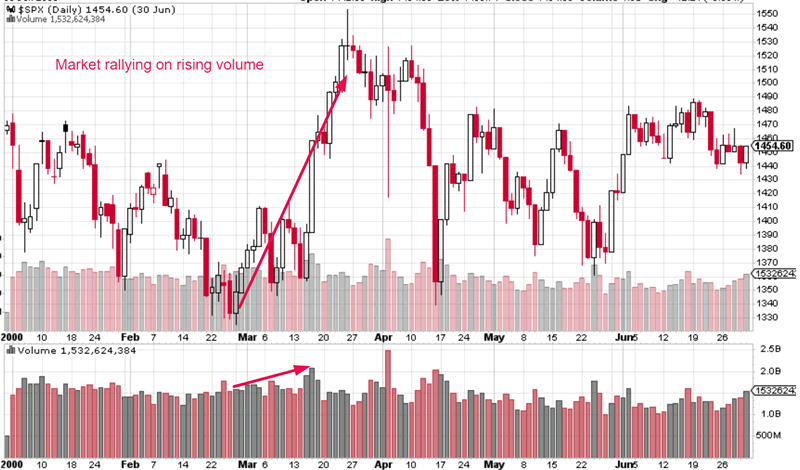 Conventional trading “wisdom” states that a rally that occurs on falling volume is bearish. 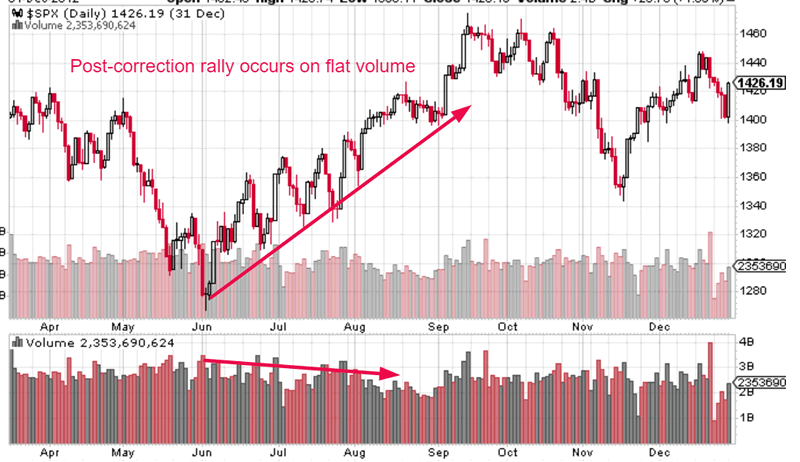 Conventional “wisdom” states that sustainable rallies should occur on rising volume. Rising/falling volume isn’t a bullish sign or a bearish sign. It just is. Volume is mostly irrelevant. It doesn’t give you much of an edge in the markets. The S&P 500 is rallying on falling volume right now. Here are the historical 10%+ corrections since 1998. (The S&P has fallen 11.8% so far a of April 2018). Notice how there is no consistent correlation between the market’s volume and its post-correction rallies. *We don’t have volume data before 1998. Some post-correction rallies occurred on flat volume. 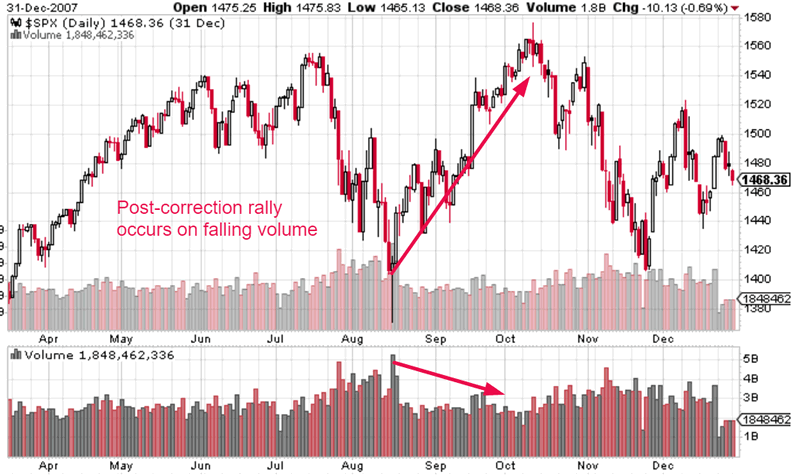 Some post-correction rallies occurred on rising volume. This means that a post-correction rally with falling volume is NOT a bearish sign. It is not an “ominous sign” for the stock market. It’s an irrelevant sign. Let’s look at the S&P 500’s volume during each of these times. The S&P 500 ended its 15.2% “significant correction” on February 11, 2016. 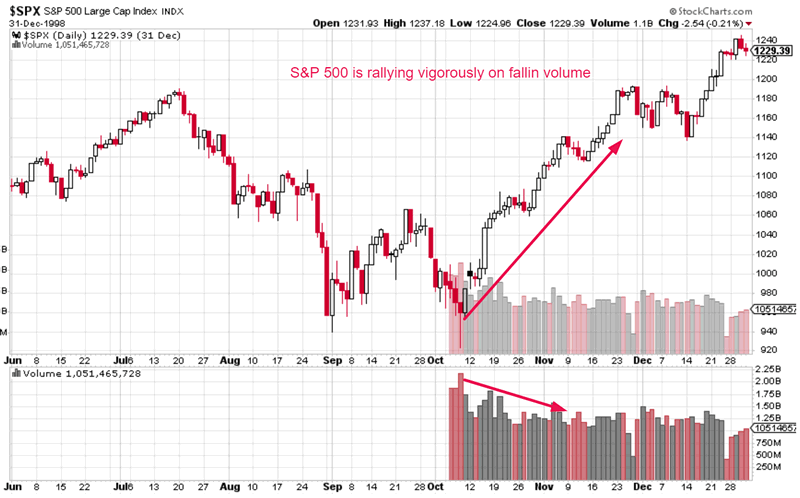 The subsequent post-correction rally occurred on falling volume. The stock market soared nonstop. The S&P 500 ended its 10.9% “small correction” on June 4, 2012. The subsequent post-correction rally occurred on flat-falling volume. The stock market rallied in a choppy manner. The S&P 500 ended its 21.5% “significant correction” on October 4, 2011. 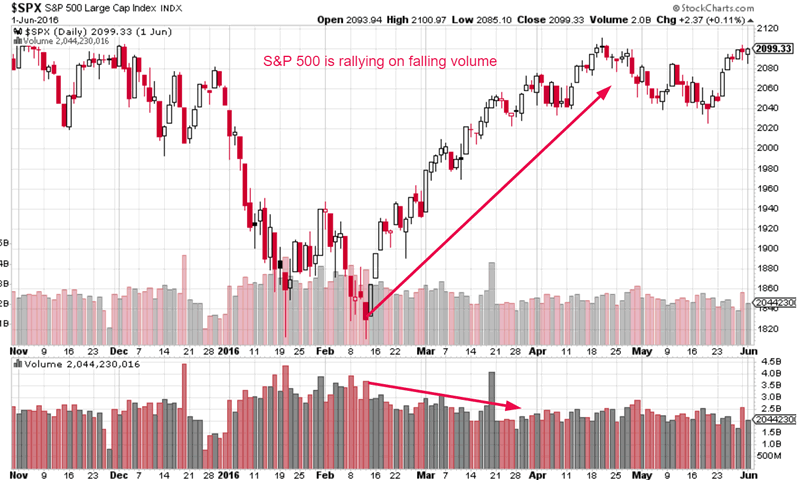 The subsequent post-correction rally occurred on falling volume. The stock market rallied in a very choppy manner with big waves. The S&P 500 ended its 17.1% “significant correction” on July 1, 2010. 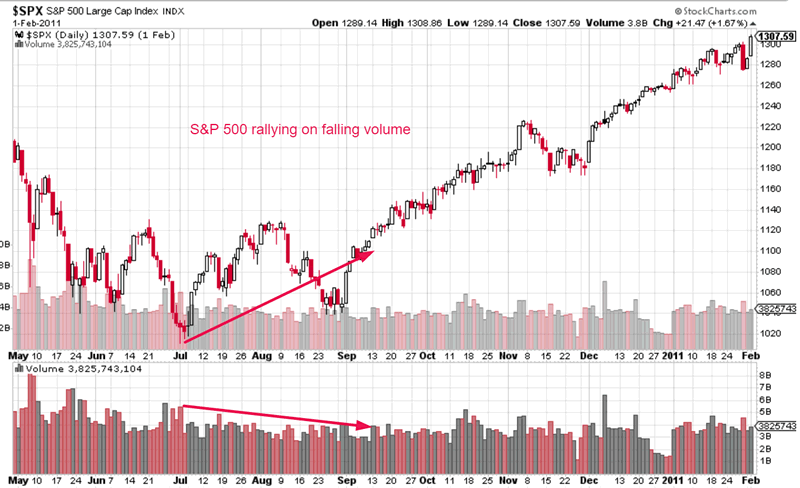 The subsequent post-correction rally occurred on falling volume. The stock market rallied in a choppy manner. The S&P 500 ended its 11.9% “small correction” on August 16, 2007. The subsequent post-correction rally occurred on falling volume. The stock market rallied in a choppy manner. The S&P 500 ended its 10.3% “small correction” on February 28, 2000. 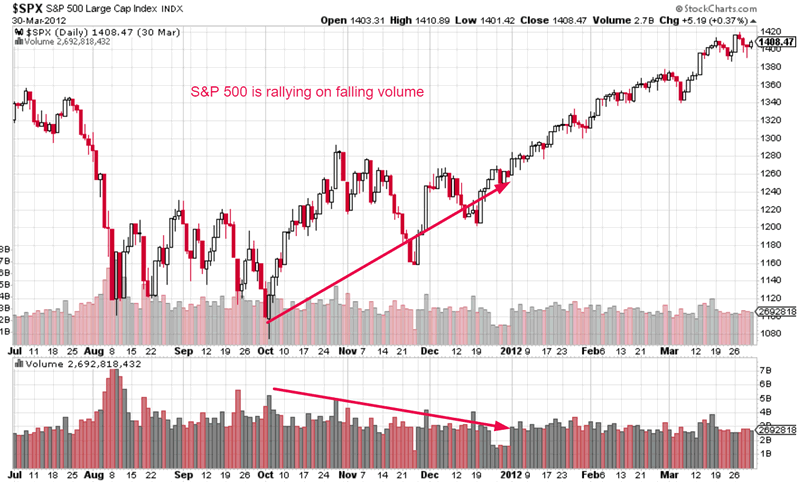 The subsequent post-correction rally occurred on rising volume. The stock market soared to new highs very quickly. The S&P 500 ended its 13.1% “small correction” on October 18, 1999. The subsequent post-correction rally occurred on flat volume. The stock market soared nonstop. The S&P 500 ended its 22.4% “significant correction” on October 8, 1998. 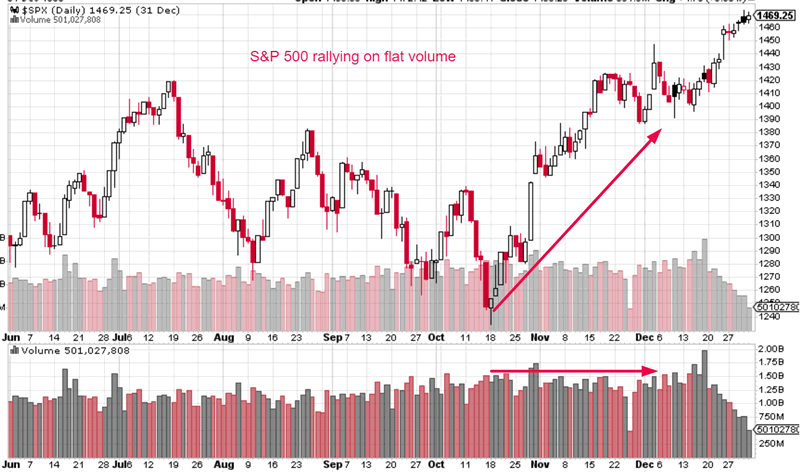 The subsequent post-correction rally occurred on falling volume. The stock market soared nonstop. 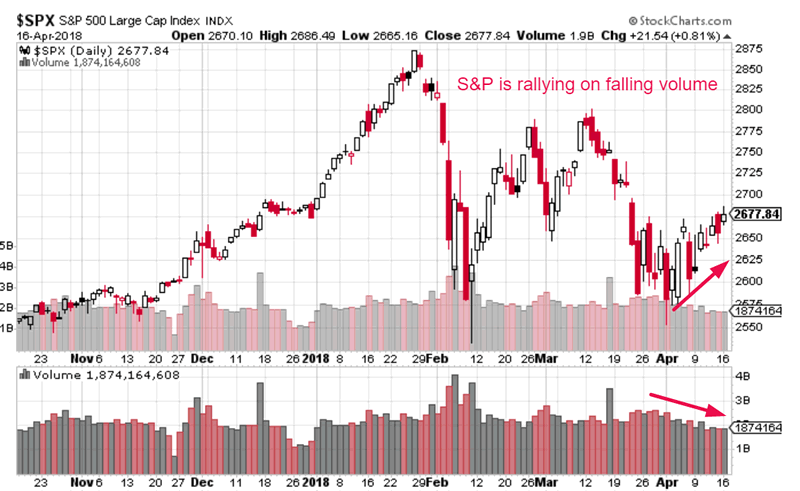 The stock market’s recent rally on falling volume is not a bearish sign for the stock market. It is an irrelevant sign for the stock market. It’s neither bullish nor bearish. With that in mind, some short term downside risk is present. But this downside risk is limited because the medium and long term outlooks are very bullish. See this study and this study.